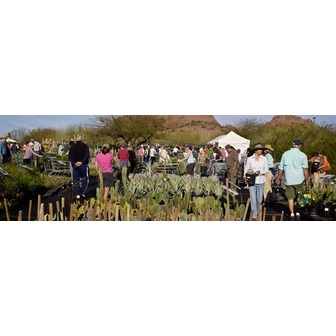 The Desert Botanical Garden Plant Sale is a one-stop shopping experience featuring the largest variety of arid-adapted plants available in one location. This sale will have our largest selection ever, with many new and unusual plants of all sizes. Specimen sized plants will be available, and we offer delivery services as well. 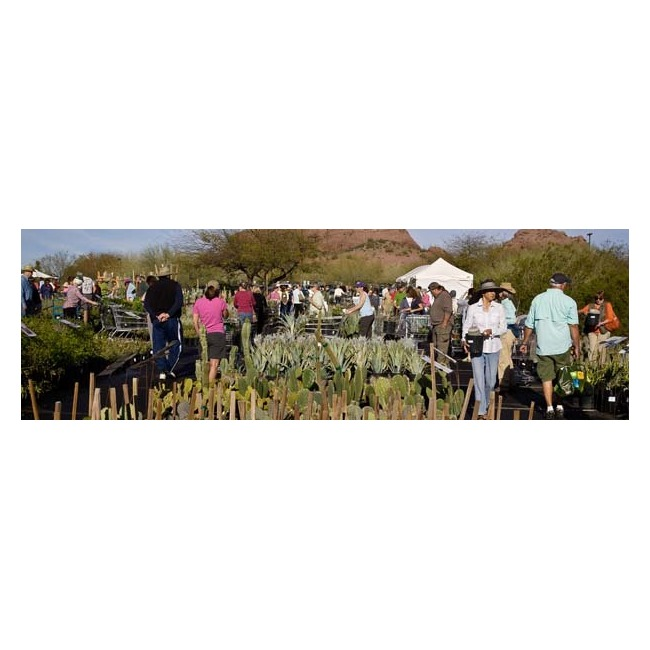 Garden volunteers and horticulturists are on hand to answer questions, assist in plant selections and offer advice. There is also a used book sale with a wide variety of subjects with all proceeds benefiting the Garden's library. (Book donations are accepted at Garden Admissions. Sorry, no magazines.) A large variety of specialty retailers will be there, offering unique pottery and other garden accessories. Please check periodically as dates/times are updated as the sales approache. There is no admission charge to enter the Fall Plant Sale. Friday / October 11, 2013 / 7 a.m. - 5 p.m.
Saturday / October 12, 2013 / 7 a.m. - 5 p.m.
Sunday / October 13, 2013 / 9 a.m. - 5 p.m. There is no admission charge to enter the Spring Plant Sale. Friday / March 14, 2014 / 7 a.m. - 5 p.m.
Saturday / March 15, 2014 / 7 a.m. - 5 p.m.
Sunday / March 16, 2014 / 9 a.m. - 5 p.m.